Lock in a great price for Atheaton Traditional Guesthouse – rated 8.7 by recent guests! Loved that the guesthouse is in old town nafplio. Great location. Right in front of your door there is a great restaurant. You can walk to a lot of places and enjoy this beautiful town. Hosts were wonderful. Great tips. It's in the middle of an old town so you have to understand that in Europe means some difficulty parking in the street but the hosts had a spot for us so no problem. Convenient location. Parking was available down the road a bit. A very quiet setting in the heart of Naflio. Family-run pension where you are treated like family - generous and accommodating. One of our best sellers in Nafplio! 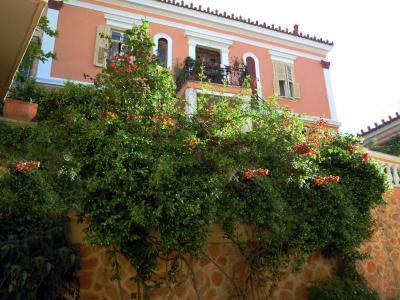 Located in the heart of Nafplio's Old Town, this charming traditional guest house lies within a short walk from the sea. 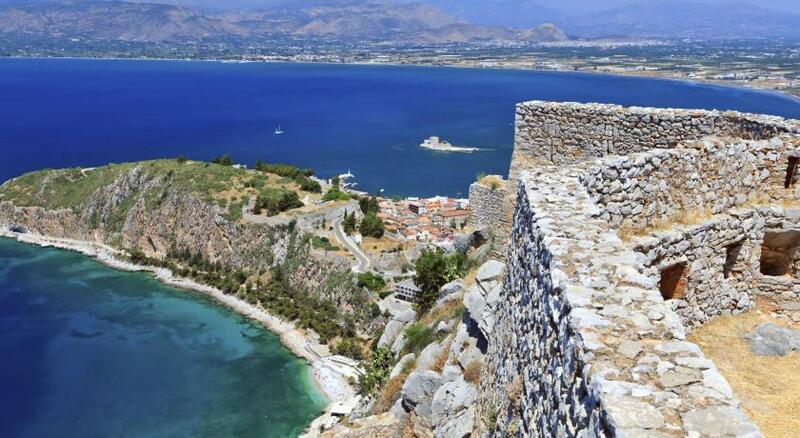 Nafplio's main bus station is a few minutes' walk away and you can park in a free public car park nearby. The family-run Atheaton offers air-conditioned room, fitted with iron beds and decorated in warm colors. Free WiFi access is available in all rooms. A bathroom with a shower and hairdryer comes standard. The Atheaton is set between traditional houses, restaurants and shops and the hotel owners offer advice on places to eat and drink. Saint Spyridon Church is round the corner, while Syntagma Square is 500 feet away. When would you like to stay at Atheaton Traditional Guesthouse? Quietly located this rooms opens to a communal veranda and is located at the internal part of the property. It comes with a TV, a free mini-bar, tea/coffee maker and a mini fridge. Free WiFi is provided. Includes hairdryer. At 'Atheaton' Traditional Guesthouse, you will find the greek hospitality and family atmosphere. House Rules Atheaton Traditional Guesthouse takes special requests – add in the next step! Atheaton Traditional Guesthouse accepts these cards and reserves the right to temporarily hold an amount prior to arrival. -Please note that Atheaton Traditional Guest house does not accept American Express. In this case, guests need to pay in cash upon check-out. -Please note that the property does not have private parking. Only public parking is available, therefore reservation is not possible. -Please note that the property does not have an elevator. -Please note that for same-day reservations, guests are kindly requested to let the property know their exact arrival time. Please note that the reception of the property is open from 09:00 until 18:00. 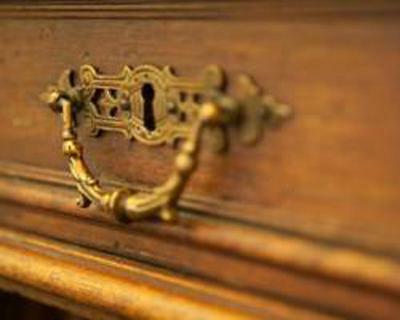 In case the guest wishes to arrive after 18:00, the property needs to be informed in advance. Please inform Atheaton Traditional Guesthouse of your expected arrival time in advance. You can use the Special Requests box when booking, or contact the property directly using the contact details in your confirmation. I guess because it was august it was overpriced. Bathroom is old and shower looks like it could be cleaned better. Mattress was not comfortable but we only stayed one night so it was not a big deal. The breakfast included could be considered more as a welcome gift since it does not include more than a juice, coffee and some pastry. The yard should be taken better care of. A little bit of noise in the street at night. Woke us up but it soon stopped. The shower is too small ! The rooms were tiny and extremely cold with no extra blankets provided. The promised breakfast was a biscuit in the drawer and the possibility to make a cup of instant coffee. Owner did not accept card payment, to avoid taxes. In the middle of a work-related skype meeting, he insisted in putting up a ladder to change curtains in the tiny room - completely ruining the meeting and getting very rude when asked to wait half an hour. Generally overpriced. Just thinking that more accurate gps address might help for people who don't have a cell phone but otherwise loved all!! The small double room might be too small if you have too much luggage. Don't know about the other rooms, though. If you travel light, no problem! It's a very nice guesthouse! Had the small double room. The view from the balcony on the garden, the narrow streets and the small square is stunning! The host is very welcoming and one of the friendliest people I met. The location is very central, with a great restaurant close by (recommended by the host).